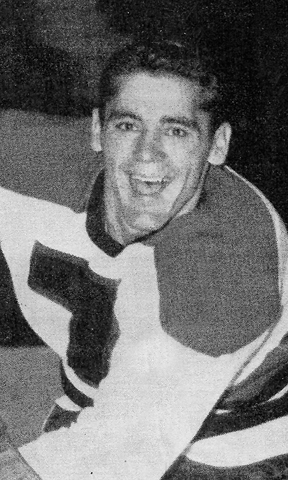 Nicknamed “Rocky” for his feisty style of play, Bartlett debuted in the NHL with his hometown Montreal Canadiens in 1955 and then made his first AHL appearance with the Rhode Island Reds the following season, racking up 28 goals and 110 penalty minutes in 50 games and helping the Reds to the 1956 Calder Cup championship. It would be the first of a dozen 20-goal seasons for Bartlett in the American League. Bartlett would spend five up-and-down seasons between the AHL and the New York Rangers, and on Jan. 5, 1958, he tied an AHL record when he scored two goals in a span of just five seconds against Rochester and goaltender Gerry McNeil; the mark still stands six decades later. In 1959-60, Bartlett played most of the year in the NHL but averaged a point per game for the Springfield Indians in the postseason end route to another Calder Cup. He was named to the AHL Hall of Fame as a memebr of the Class of 2018.